In 1983, Marvin and Helene Gralnick returned from a stay in Mexico with a truckful of Mexican folk art purchased with the last of their devalued pesos. With this haul (and a few cotton sweaters for variety), they opened a small store on Sanibel Island, Florida. Searching for a name, they looked no further than their friends' bilingual parrot, Chico. Shoppers liked the folk art, but the loved the sweaters. Marvin and Helene quickly realized that they were in the sportswear business. From the beginning, Chico's built its success on friendly, personal service - right down to Helene's hand-stenciled shopping bags. 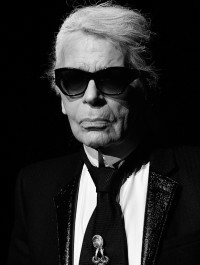 Today, Chico’s primarily sells exclusively designed, private branded clothing for women 35 years of age and older, with moderate to high household incomes. For more than 25 years, Chico’s has served women - millions of women - with a high level of customer service, offering styles that yield a wardrobe that is fashionable, unique, relaxed, figure-flattering, and comfortable. Chico’s currently operates 599 frontline boutiques and 44 outlets in 48 states, the District of Columbia and Puerto Rico. 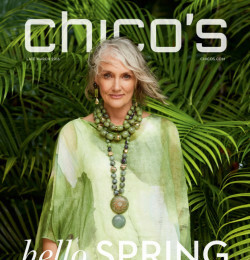 Chico’s also publishes a popular catalog about once a month and offers round-the-clock shopping at www.chicos.com.